The Grand Theatre's Arts and Draughts Beer Tasting is Tonight! 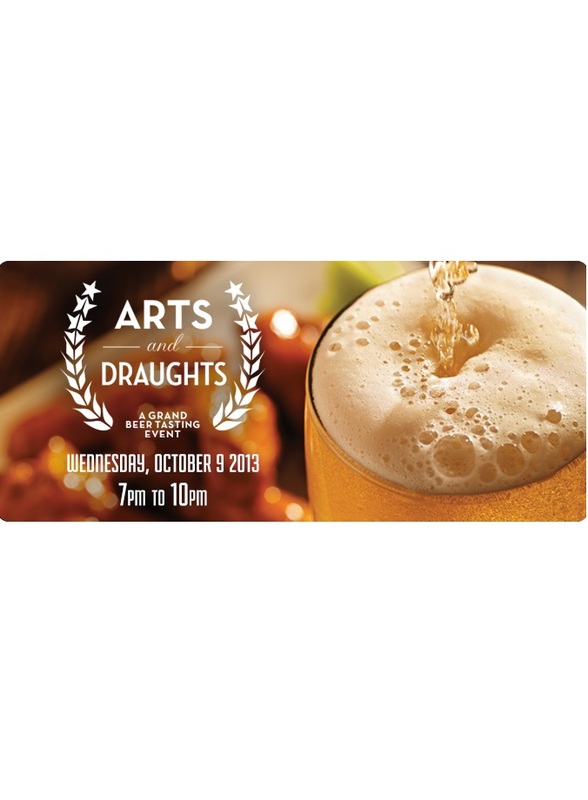 The Grand Theatre’s Arts and Draughts beer tasting event is back and “grand-er” than ever! Last year’s sold-out event saw The Grand Theatre play host to six Ontario microbreweries. This year, the number has increased to ten. Featured breweries include: Flying Monkeys, Great Lakes, Lake of Bays, Muskoka, Nickel Brook, Sawdust City, Silversmith, Stone Hammer, Wellington and London’s own brand new brewery: Forked River. Tickets include three tastings (additional tastings are available at a minimal cost), live music by BA Baracus and Ellie K, a live painting performance by YouTube sensation Darryn Rae plus a penny auction of fabulous prizes and appetizers by Milos’ Craft Beer Emporium. Proceeds from Arts and Draughts support youth programming and operations at The Grand Theatre. Tickets are $30 each and are available at The Grand Theatre Box office and at www.grandtheatre.com or by calling 519.672.8800.